It's time to bake with the Fill The Cookie Jar group! This month's theme is Father's Day Favorites, and my dad has always loved butterscotch. 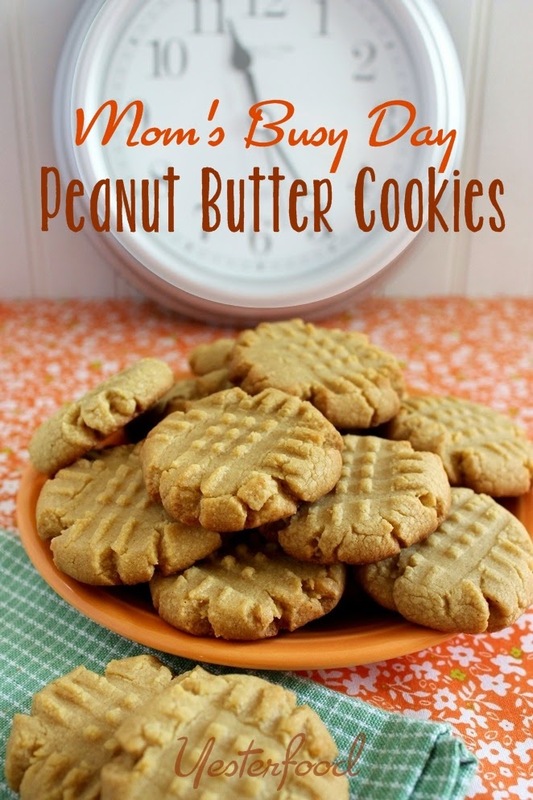 Sweet and chewy, with rich butterscotch in every bite, these classic cookies will brighten your day. 1. Heat oven to 375°F. Line cookie sheets with parchment paper. Set aside. 2. In large bowl, beat margarine and sugars until creamy. Add eggs and vanilla; beat well. In a medium bowl, combine flour, baking soda, and salt. Whisk to combine, then add to butter mixture and mix well. Add oats and butterscotch morsels; mix well. 3. Drop dough by level tablespoonfuls onto prepared cookie sheets. Bake 7 to 8 minutes for a chewy cookie or 9 to 10 minutes for a crisp cookie. Cool 2 minutes on cookie sheets; remove to wire rack. Cool completely. Store tightly covered. Oatmeal Scotchies may have been taken to some of these fun parties! I love butterscotch as well Joy and am sure these would taste as good as they look. Yum, butterscotch sound delicious! I couldn't eat just one of these I don't think. 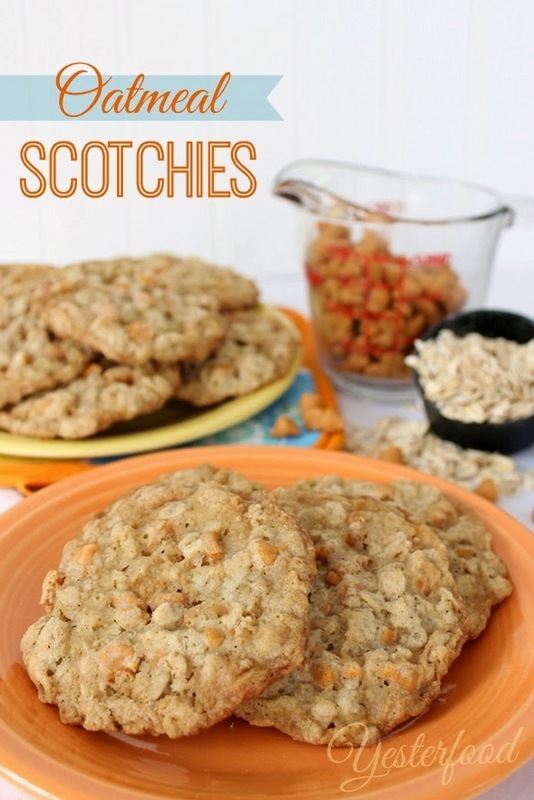 Oatmeal Scotchies are one of my personal favorites. I almost made them but went with a different cookie instead. Yours look yummy. I love these cookies, Joy. Thanks for sharing. I'm in the mood to bake something. These sound just right! These sound absolutely fantastic Joy :) I am looking forward to trying them! These sound delicious Joy. I will have to give your recipe a try, I like using the butterscotch chips, they are just the right touch. 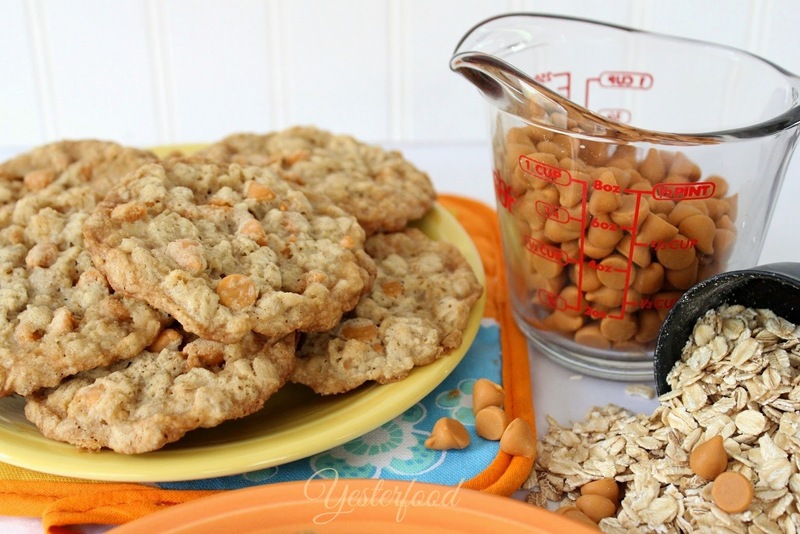 I love oatmeal cookies and butterscotch chips so I know I would love these... Sharing on my facebook page. Ok, I am probably the only person in the world that has never had an oatmeal scotchie, so I'm going to have to try them. They sound delicious, so I'm not sure why I've never made them, and I know I've never been offered one because I would have tried it. Definitely on my baking list now. I can't even remember the last time I had an oatmeal scotchie but those sure do look delicious! I bet Amara would love making them and I know her Dad would love them!! He loves butterscotch! Boy, do these look gooood. Thanks for telling me about your link party on Tuesdays. I'll be sure to come link soon. I too love oatmeal cookies. They are chewy and soft all in one cookie. My family want to always eat them for breakfast. They say they are HEALTHY. You picture looks beautiful and your recipe sound YUMMY! We love oatmeal scotchies, Joy! Tweeted! This is probably my favorite cookie of all. :) I frequently see "new and improved" oatmeal cookie recipes online. Sometimes, fiddling with perfection doesn't pay! Butterscotch does something magical when it comes in contact with oatmeal and brown sugar! The texture, the taste....this kind of "old-fashioned" cookie perfection can't be made better! There is something particularly amazing about chewy cookies! I havn't had many butterscotch flavoured cookies, so it must be time to start! I made these tonight. Thumbs up! Wow do these look amazing! I found you over The Silly Pearl. I host Tickle My Tastebuds Tuesday and would love it if you linked up this recipe. I’m sure our party goers would love it as much as I do. Here is the link http://bit.ly/1l4cu0j. Have a wonderful day!! Yum I love any oatmeal cookie! Oatmeal Scotchies are such a classic cookie. I can see why - they are delicious. 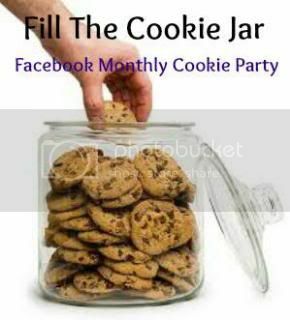 Thanks for being a part of the Fill The Cookie Jar group. I look forward to seeing what you bake next month. Thanks for coming to the Wonderful Wednesday Blog Hop and linking up your fabulous post! We are so glad you came! Loved this so much, I stumbled and pinned twice. Yum! These are one of my favorites, Joy! These are an awesome classic cookie! Great Pictures too! These look great, so yummy! These cookies look delicious and remind me of childhood. I love all forms of oatmeal cookies! Thanks for sharing on the Thursday Blog Hop! I love oatmeal cookies. Nice idea to add butterscotch! Coming from the weekend social! These cookies sound SO good Joy!! Mmmm...this brings back memories. I always like butterscotch cookies. Thank you for sharing at What We Accomplished Wednesdays. Have a great weekend! I didn't think oatmeal cookies could be made any better. But you've found a way. these look heavenly! All my favorite flavors in one cookie! Stopping by from Party in your pjs! Delicious! I must say I LOVE oatmeal cookies, and the butterscotch just makes the better!! Oh yes! I love these!! Thanks for sharing the recipe with SYC. What a great combination! Thanks for linking up with What's Cookin' Wednesday! Just stopping by from the Friday Link Party. These look sooo good! Pinned, Tweeted, and shared on Facebook! I'm loving your fill the cookie jar recipes. These look so good!!!! I just love Butterscotch and your Oatmeal Scotchies will be delicious. Thanks so much for sharing this awesome recipe with Full Plate Thursday and come back soon! These are seriously one of my favorite cookies! Nothing beats them with a tall glass of milk! I have even been known to eat them for breakfast...don't tell my kids ;-) Thanks for sharing at my Creative Ways Link Party! Hope to see you again tonight! Oatmeal cookies are my favorite! I love the addition of the butterscotch chips. Thanks so much for linking this up to the Friday Frenzy! These cookies are delicious! The only thing I did differently was to add 1/2 teaspoon cinnamon to the dough. Thank you!